Look out for special events coming soon, including The Joy of Tricky Questions with BBC2’s Alan Connor (a conversation about why we like being asked difficult questions) and the Book Lovers’ Quiz: an entertaining evening crammed with fun questions about books & authors and a sprinkling of not-too-fiendish wordplay. This was the scene after the quiz at Blackwell’s London Holborn, where winning team Clueless took the lead on the last round by the slimmest possible margin. 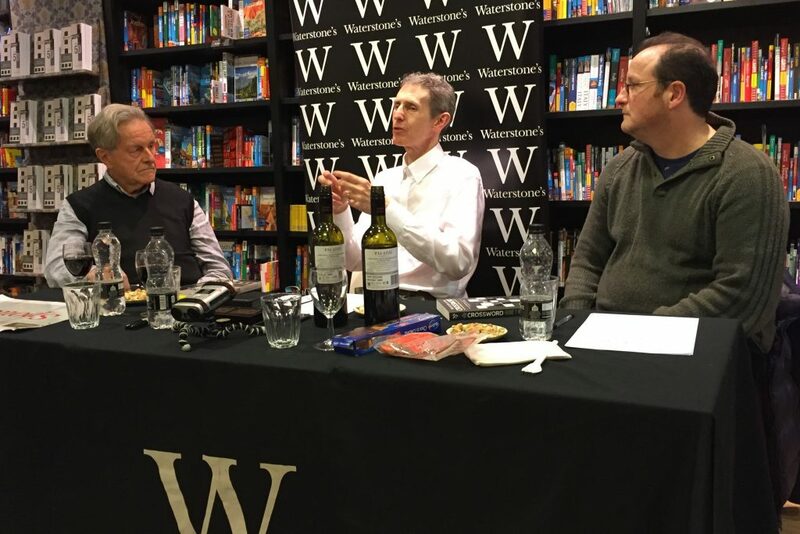 I enjoyed talking to a packed house at Waterstones Brighton recently with John Halpern (Paul in the Guardian) and Hugh Stephenson (Guardian Crossword Editor). If your local Waterstones or other bookshop can cater for a decent crowd and you’d like to see me there talking to other luminaries of the crossword world, let me know – better still, tell your bookshop about these events and ask them to get in touch – or if you’re organising a festival, talk to me about arranging an In-Conversation event tied in with a short public workshop. They started as a way of celebrating the centenary of the crossword in 2013, and now they’re an institution: they’re my Crossword Masterclasses, in which I show small groups how to make the most of their inner fiendishness. There’s an intensive one-day class for aspiring setters and advanced solvers, which will get you creating and appreciating crosswords, and there’s an advanced workshop for previous masterclass graduates. They’re everything you need to know to follow in the footsteps of alumni like Bucko, Daedalus, Dutch, Hudson, Jack, Julius, Knut, Magnus, Navy, Serpent, Soup, S.park, Vigo and Wire. For more details and to book your place on the next class, click here. A completely personal, custom puzzle is a great way to celebrate a birthday, an anniversary, a corporate event or any other occasion … or do it just for fun. To find out how to go about creating the perfect present for the word-lover in your life, click here. Enjoy 50 of my crosswords from the Guardian (actually, 51 – there’s a bonus puzzle from the online Genius slot), then read the stories and ideas behind them. It is an extraordinary pleasure to read how Boatman’s unique mind works. 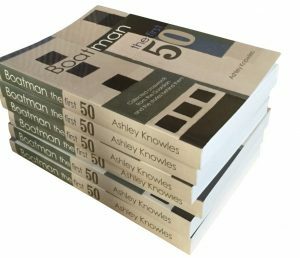 The First 50 is a book I never knew I needed in my life. Gift it to yourself and to the word-lovers in yours. Click here for more about the book, including sample pages, interviews and press releases. You can buy The First 50 from all the usual online and national bookshops. If your favourite local bookshop doesn’t stock it, they can order it for you (give them a hint that they should order an extra copy or two for their shelves!) or you can buy direct from my online shop for signed copies and multi-buy discounts.